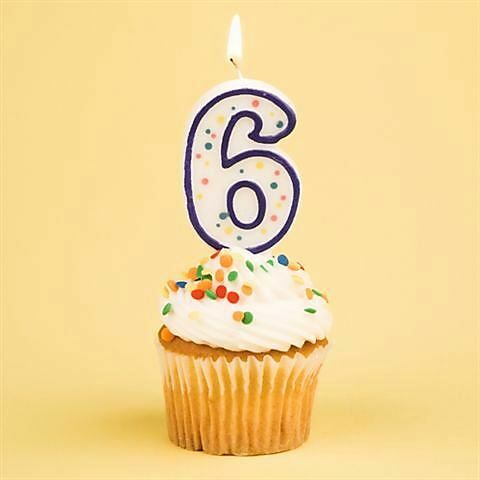 I’ve been running this blog for this six years, and I haven’t even remembered every “blog-iversary”. It’s probably not worth thinking about every year, similar to how birthdays can lose their excitement after so many of them, despite being only once a year. Still, I never expected this blog to last as long as it has, despite that being the goal from the start. I expected to have deleted it by now due to inactivity or boredom. I guess a “slice of life” blog isn’t a subject that’s too difficult to maintain since, well, life doesn’t stop until you die. My disappointment in those six years is that I’m not really any better off than I was when I started this blog. I’m still living in the same place, still yearning for freedom and independence, and still trying to figure out how this whole game of adulthood works. Yes, I’m working toward it with school and a job, but I still don’t have it and patience is not a virtue I possess. Oh, well. Can’t have it all. This entry was posted in General and tagged 2018, 6th anniversary, anniversary, blogging, celebrate, life. Bookmark the permalink.